Wheat ranks second after rice as staple food grain in Asia –Pacifc region’s food basket and grown widely in various ecological settings. Its role as a food and nutrition security crop has been steadily increasing. However, there is a growing concern that the production and productivity gains have been showing either declining trends or stagnation in major wheat growing areas of the region. What is more disturbing is the un-stability and vulnerability in aggregate production and productivity. In view of that, it is necessary to put more concerted and significant efforts for the improvement of wheat production and productivity and thus calls for an urgent action to review the current scenario of wheat production and to develop strategies to enhance productivity for sustained food security. During 2010-11, the global wheat production was about 682 million tonnes covering 227 million hectare area with productivity of 3.0 tonnes per hectare. However, Asian countries produced 223 million tonnes of wheat covering an area of 101 million hectares during 2009-10 with productivity level of 2.23 tonnes per hectare (FAO. 2010-11). The world population by the year 2050 is projected to be 9.1 billion with 5.1 billion in Asian region. To meet the demand of these huge populations, food production should be doubled in developing countries by 2050. It is estimated that 80 per cent of the increase should come from productivity gains and increasing cropping intensity and only 20 per cent from area expansion. The estimated figures show that wheat production should increase to 302 million tonnes by 2050 in Asia (FAO, 2009). This demand of wheat does not include an additional demand for animal consumption as well as biofuel. However, there is a wide variation in the productivity amongst the wheat growing countries of the world. For example, the productivity in Central Asia and Caucaus is 1.4 tonnes per hectare, while in the European Union it is around 5.3 tonnes per hectare. 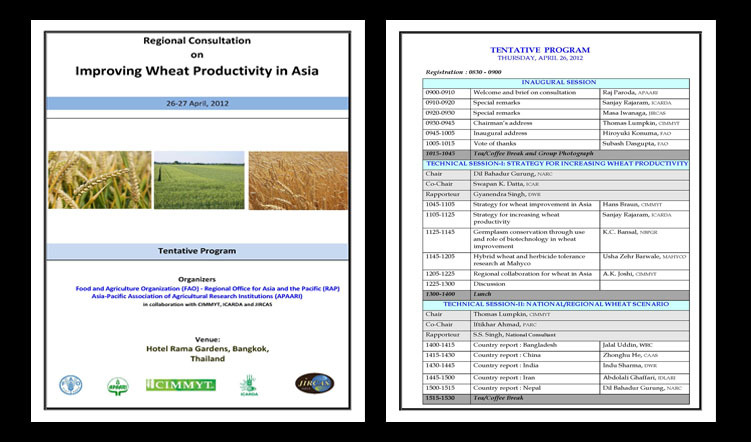 In Asia, wheat productivity is 2.3 tonnes per hectare which indeed is lower as compared to the world productivity of 3.02 tonnes per hectare (Dixon et al., 2009). In order to keep pace with the population growth growing at the rate of 1.5 per cent annually, the global wheat production must increase at least by 1.6 per cent annually (FAO, 2006, 2007; Rosergrant et al., 2001). The enhanced production has to come from less water, less lands and less chemicals by promoting ecosystems approaches in production systems to sustain ecosystems. In order to facilitate and promote this endeavour, the FAO conference in 2009 adopted a new strategy framework in which Strategic Objectives were outlined alongwith the concept and approach of Sustainable Crop Production Intensification (SCPI). The concept was later expanded and examined in more detail in FAO’s policy document, “Save and Grow – A New Paradigm of Agriculture”. There are also many challenges due to climate change, soil degradation, drought, productivity stagnation and emerging new biological threats and these are to be suitably addressed in order to meet the ever increasing demand of food in general and wheat in particular. Obviously, there will not be any easy solution to meet such increasing demand, especially in view of available area and the low genetic gains. The increase in temperature will be a major threat resulting in increased abiotic and biotic stresses of new dimensions. Hence, breeding strategies will have to be reoriented to develop wheat varieties which are tolerant to temperature fluctuations and have resistance to new virulent diseases and pests. Therefore, concerted efforts on the part of researchers, extension workers, farmers and policy makers are needed to improve soil health, input use efficiency and the yield potential of wheat crop in the region. 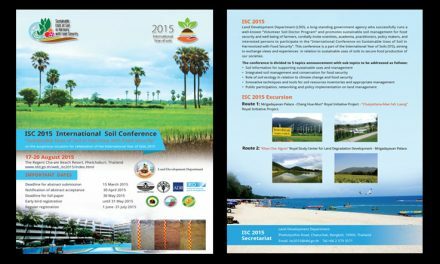 The demand for chemical fertilizers in many Asian countries is increasing. However, it is in short supply in the international market. Similarly, water is also becoming a scarce commodity. Therefore, there is an urgent need to develop wheat varieties with improved nutrient use efficiency as well as water use efficiency for sustained wheat production. The integrated twin pillar approach of crop improvement and crop management will help in enhancing wheat productivity in the years to come. The genetic variability is the very basis of any crop improvement programme. The wild relatives, land races and genetic stocks are the important sources for new genetic variations. However, the irony is that till date, the full potential of genetic resources has not been exploited in crop improvement programs and it is continuously declining and the current efforts on research in the field of wheat hybrids is rather limited with not much success. However, now it is high time to go for the exploitation of heterosis for developing wheat hybrids exhibiting high yield and better grain quality. Hybrid wheat is one of the viable options currently for increasing productivity of wheat. Under the changing climate, it is essential to breed short duration varieties with high per day productivity rather than developing long duration high yielding varieties of wheat. The new varieties of wheat should posses genes / QTLs responsible for providing resistance / tolerance not only to major diseases and insect – pests, but also to have tolerance to terminal heat, drought, cold and salinity-alkalinity. There exists a vast potential of achieving the target production of wheat, provided research and developmental efforts are carried forward in right direction. The nature’s gift in the form of vast fertile tract of Indo-Gangetic plains in India, Pakistan, China and other countries in Asia alone offers ample opportunity for enhancing food production to a much higher level. Wheat breeding in combination with agronomic manipulation for exploiting the positive interactions between genotype and cropping systems management has also great potential. For ensuring wheat production, adoption of conservation agriculture (CA) technology on a large scale is to be ensured through out scaling of this innovation on large scale. Thus, without improved and efficient crop management, it will be hardly possible to harness the full potential of improved varieties and new production technologies. It is rather important to emphasize here that with the improved agronomic management/precision farming with ecosystem approaches, additional quantity of wheat is likely to be produced with limited resources and use of conservation agriculture technologies. Once perfected, these resource conservation technologies will have great impact being environment friendly, more productive and profitable as well as sustainable. Thus, use of improved varieties as well as efficient crop management practices would reduce input costs, increase yields and ensure higher net profits to smallholder wheat producers. To?exchange information, share experience and lessons learnt, and assessment of the national/regional priorities for enhancing wheat production in the region. To develop a common strategy to address emerging problems in the region. To develop mechanisms and partnership to facilitate the exchange of knowledge and products and to learn from each other’s successes and failures. To develop a ‘Road Map’ for enhancing wheat productivity and production in Asia so as to have improved livelihood of resource poor small holder farmers. Learning and benefiting from regional and cross-country experiences on R&D in wheat. Regional wheat platform or regional network established on wheat with an aim to promote the networking of policy makers and experts on wheat in the region. 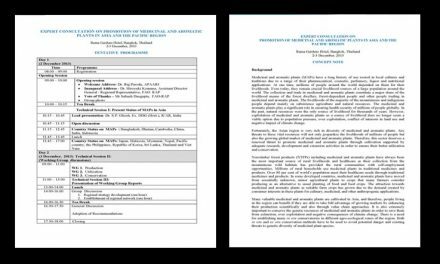 Report of the Regional Consultation produced which should include the above four outputs , conclusions and recommendations. The participants will include representatives of wheat producing countries and China as well as representatives of CGIAR institutions, FAO, GFAR and stakeholders representing private sector, NGOs and farmers’ organizations. In all, about 40-50 participants are expected to take part in the regional dialogue. 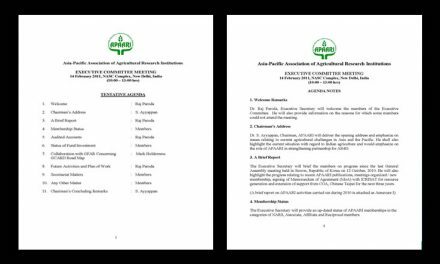 The regional dialogue will be jointly organized by the Food and Agriculture Organization of the United Nations (FAO) – Regional Office in Bangkok, and Asia Pacific Association of Agricultural Research Institutions (APAARI) in collaboration with CIMMYT and ICARDA. Dixon J, Braun HJ, Kosina P and Crouch J (eds.). 2009. Wheat Facts and Futures 2007. Mexico, DF: CIMMYT. 2. FAO. 2006. World Agriculture: Towards 2030/2050. Interim Report. Global Perspective Studies Unit, FAO, Rome. 3. FAO. 2007. http://faostat.fao.org/faostat/&nsbsp; September, 2007. 4. Rosergrant M, Meijer S and Witcover J. 2001. Global Food Projections to 2020: Emerging Trends and Alternative Futures. Washington, DC: IFPRI.